Chris Coulson ENT surgeon and endoscope-i managing director talks about using endoscope-i in ENT. This entry was posted in e-i Pro, endoscope-i on July 3, 2014 by SimonP. The new e-i Pro app is now available through the app store. The new user interface has had a lot of attention, resulting in an app that is unique in only allowing access to the camera when the phone is inverted. This reduces power consumption when the camera is not needed and gives easy access to other menu functions. In addition the app implements exposure locking to allow use with narrow scopes. To see the app in action take a look at this video. For further details on the app go here or here. This entry was posted in e-i Pro on November 26, 2013 by SimonP. endoscope-i are finalists in the Healthcare IT product innovation category for the EHI Awards 2013. Well done to all involved, especially Ajith and Chris for their dynamic presentation skills. endoscope-i, putting the ‘i’ in innovation! 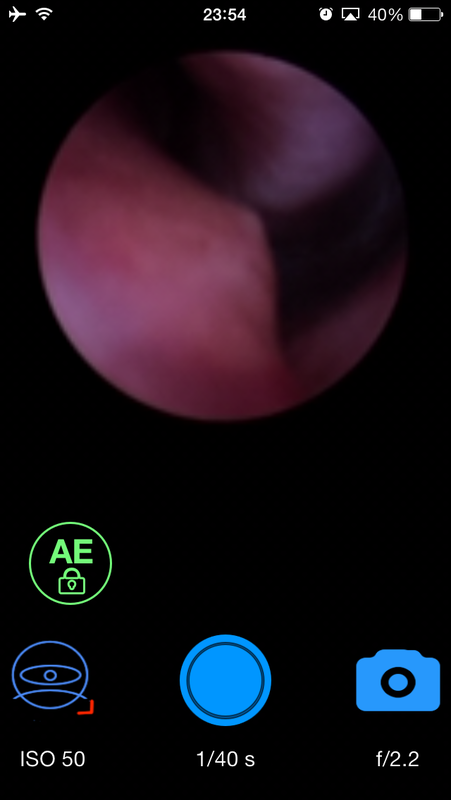 This entry was posted in endoscope-i and tagged EHI Awards 2013, endoscope-i, endoscopy, iPhone on August 7, 2013 by SimonP. Nice writeup on MedGadget about the endoscope-i adapter and app. This entry was posted in Apps, endoscope-i and tagged endoscope-i, iPhone on April 25, 2013 by SimonP. We’re pleased to announce that after a short wait, rejection and a brilliant impromptu video by Ajith(endoscope-i Ltd), the endoscope-i app for endoscopic mobile imaging is now available on the app store. 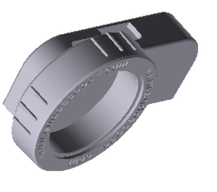 For details on the endoscope-i adapter take a look here. For a nice walkthrough of the features and rational for the app take a look at the youtube video. The image quality we are getting from the iPhone 4S & 5 cameras are stunning. Better than a lot of the dedicated systems currently available, and all done with no additional optics or filtering. 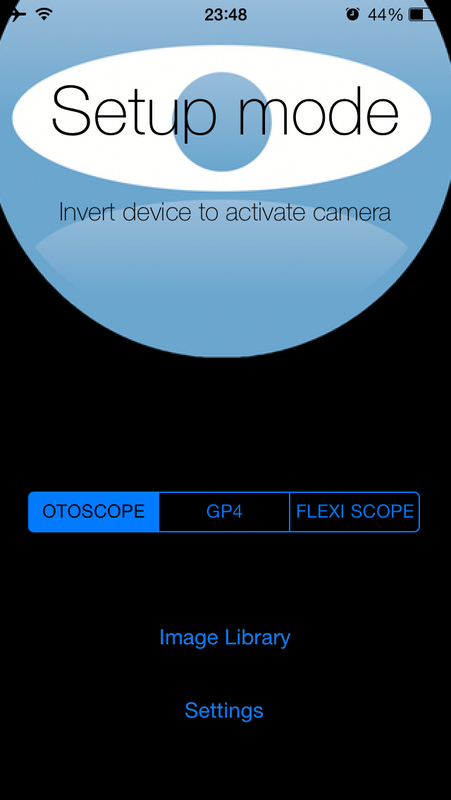 This entry was posted in Apps, endoscope-i and tagged endoscopy, imaging, IOS, iPhone on April 2, 2013 by SimonP. 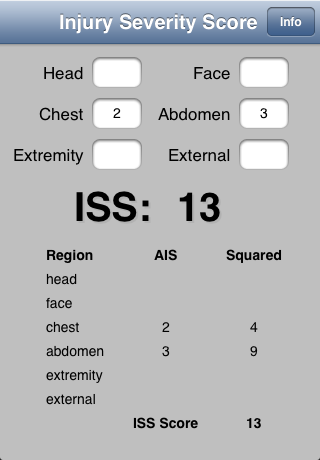 Injury Severity Score calculator is now available on the app store. It is ideal for use by anyone involved in the management of Trauma, critical care, anaesthesia, emergency medicine and trauma surgery. This entry was posted in Apps, ISSCalc and tagged IOS, iPhone on October 30, 2012 by SimonP.